Nathan joined Lincoln Financial Advisors in 2002. Nathan earned a B.B.A. degree in Marketing from Texas Tech University in 1999. 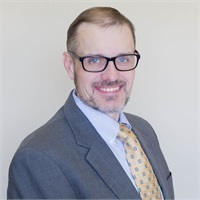 Since joining, he has earned both the CERTIFIED FINANCIAL PLANNER(TM) certification & the Chartered Retirement Planning Counselor designation. He works with individuals to help them determine their unique insurance, investment, financial, and legacy planning needs. In addition, he advises business owners & key employees on issues of wealth accumulation, advanced asset preservation, estate tax payment techniques, tax reduction strategies, and employee benefits & insurance. As part of a team with multiple disciplines and strengths, the advice that he provides is designed to fully integrate with all aspects of the client’s financial needs. Nathan and his wife, Liv, have been married since 2000 and live with their 2 children in Spring, TX and are actively involved in several religious, educational, and civic organizations.